It's difficult knowing what to get for fathers day. What I do know is that camping stores are a paradise for Dads. With this in mind, I've taken a walk through the store and picked out 10 items that I would love if I was on the receiving end for fathers day! (I'm not a father, presents are still welcome) Go on check out my list. Read on! I could keep going, but it gives you a good taste of the range we have. 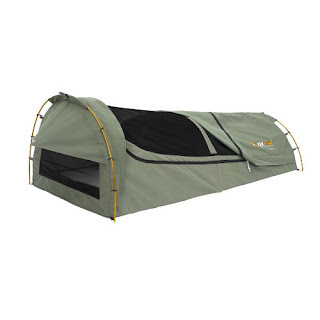 Why not surf our website www.tentworld.com.au or visit us in one of our stores. Find a Tentworld store near you! ABOVE: The Engel MT45FP 40 Litre fridge is currently the most popular model in the ENGEL fridge freezer range. 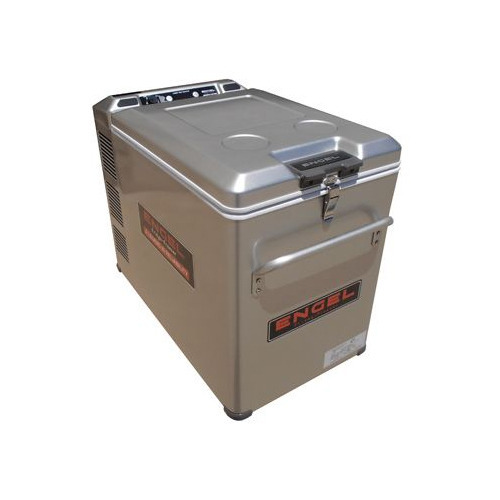 THE ENGEL MT45FP 40 Litre Compressor fridge! This is for the Dads that have been well behaved this year. The Engel MT-45 with Transit Bag is the perfect size for a two week family trip or great behind the bar to hold your beers. The OZtrail Mitchell King Single Swag is a popular choice amongst campers. Your Dad might have a swag already, but does he have the latest OZtrail Mitchell Dome Swag? This swag is what all the blokes are talking about, no more heavy canvas laying across your face when you sleep, or insects attacking you! This is quick to set up and so much better than the original style swag. The Coleman Eventemp Stove with Griddle is the perfect camping companion and great to use in the park! 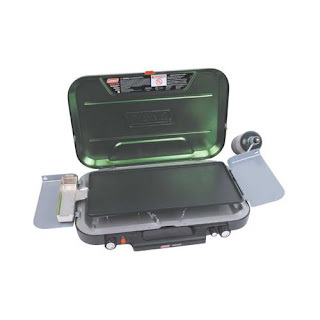 The Coleman EvenTemp Stove with Griddle is a perfect BBQ substitute for when you want to have a barbecue but cannot fit it in the car. This beast is what all the MasterChef contestants were using in 2011. 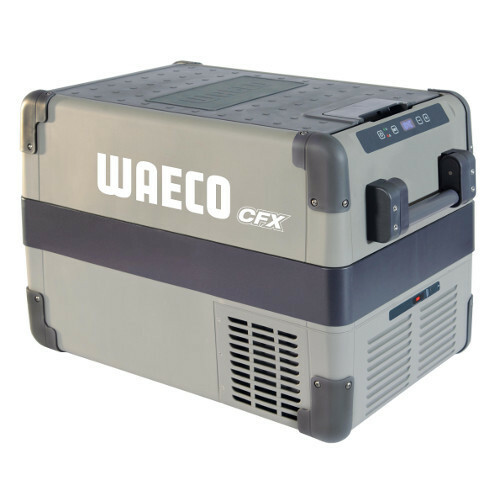 ABOVE: The WAECO CFX-40 is a perfect companion on the road, or while boating. When its not in service it does a great job as a beer fridge in the shed! The WAECO CFX-40 is a great choice of fridges for the outdoor enthusiast. It's a perfect size to cater for nearly all kinds of adventures. If you need help in choosing the best size for you and your family, make sure you contact us at Tentworld and we'll be able to assist. Has your lucky dad already got a fridge? This is a nice compliment for your fridge the CampEzi Jumbo Fridge Stand is designed to hold up your fridge to make it easier to work in saving your back! The Primus Power Light 12v is perfect for lighting the camp site. 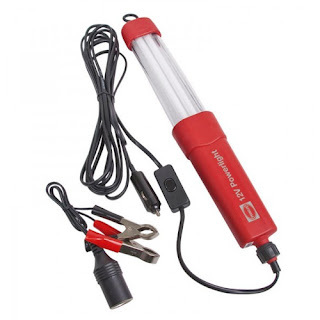 It is super bright and super efficient drawing less than an amp per hour! It has less consumption than the interior light in your car! The Petzl Tikka Plus headlamp is a popular choice amongst campers and hikers alike. The Petzl Tikka 2 Plus LED Headlight is perfect for walking through the bush at night or working on the car. The Tikka 2 Plus is super bright and super battery efficient, only requiring 3 AAA batteries it'll run for hours and hours! Dad will have a hard time holding onto this one. Great for the home handyman too!! He can see what he is working on and have both hands free to perform surgery. The OZtrail Deluxe Gazebo 3x3m is the gazebo of choice for Sunday markets due to its strength and ease of use. 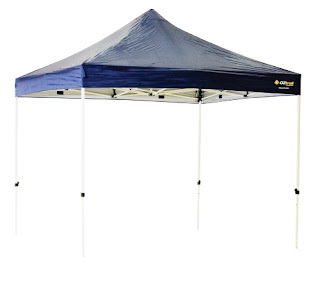 The OZtrail Deluxe Gazebo is perfect for the day at the dam water skiing, picnic in the backyard or to take away for your long camping holiday. The Oztrail Deluxe Gazebo packs away quickly and provides a lot of shade! This is the Gazebo of choice for those working at the Sunday markets. 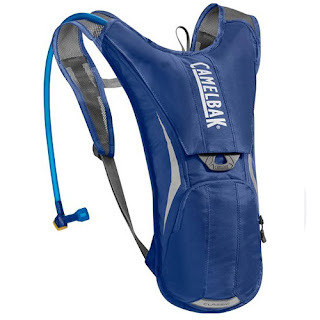 The Camelbak 2L Classic Hydration Pack is perfect for the active Dad who likes to go on bush walks and go bike riding. It features a large fill hole to allow you to put your ice cubes in easily and for keeping it clean.